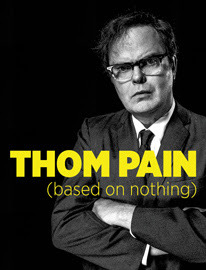 Directed by OBIE award winner, Oliver Butler, Rainn Wilson stars in Will Eno's play, Thom Pain (based on nothing). The play has been described (by the New York Times) as "at bottom a surreal meditation on the empty promises life makes, the way experience never lives up to the weird and awesome fact of being. But it is also, in its odd, bewitching beauty, an affirmation of life's worth." The play follows the tragic but funny Thom Pain who is "just like you, except worse." The show runs January 8 - February 14, 2016. Get your tickets here!